Greater Hudson Valley Family Health Center's 16th Annual Pillars of the Community Gala held at Anthony's Pier 9 on Saturday, November 7, 2015. 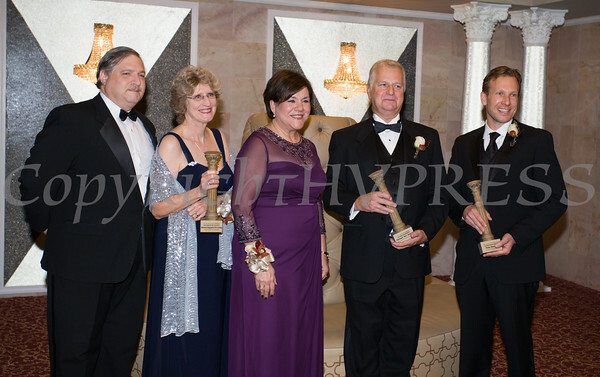 Greater Hudson Valley Family Health Center's 16th Annual Pillars of the Community Honorees Todd A. Kelson, chairman of the board and Amy Anderson-Winchell, President & CEO of Access Supports for Living, Linda Muller, President & CEO of The Greater Hudson Valley Family Health Center, Honoree Richard “RJ” Smith, and Honoree Pete Berman. Hudson Valley Press/CHUCK STEWART, JR.